The former star of “Dr. 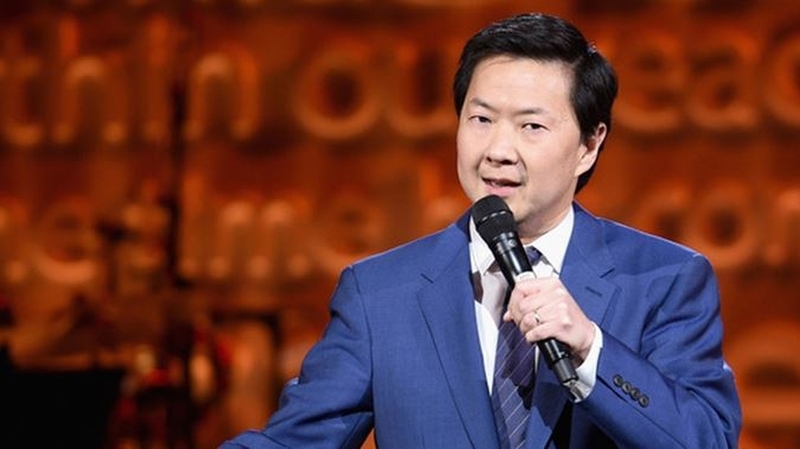 Ken,” Ken Jeong, proved that he’s the real deal when a woman needed medical attention during one of his live comedy shows over the weekend and the star had to leap off the stage to lend his expert hand. The comedian’s publicist, Michelle Margolis, confirmed to USA Today that the star was performing at Stand up Live Comedy Club in Phoenix Saturday evening when it became clear that someone in his audience needed help. According to witnesses, the actor didn’t think twice about stopping his show completely to help her. According to TMZ, which first reported the incident, a woman began having a seizure in the third row. At first the “Hangover” star, who was performing live at the time, thought he was being heckled but quickly realized the situation was far more serious than that. He reportedly cleared the area and monitored her until paramedics arrived. An audience member who happened to be an EMT reportedly also stayed with the woman until things were under control. After that, Jeong reportedly stepped right back up on stage and continued his set and got the room laughing again. Before leaving with paramedics, the woman in question was reportedly back on her feet and able to walk. If one has to require medical attention during a live show, Jeong’s show is a safe bet as the actor began his career as a real-life doctor. After graduating Duke University in 1990, Jeong earned a medical degree from the University of North Carolina at Chapel Hill School of Medicine five years later. Although he no longer practices, he’s a licensed physician in the state of California. Thanks to his breakout role in “The Hangover” and the TV show “Community,” Jeong has pursued acting for several years. Still, he proved on Saturday he’s still got his medical chops.